We have known Lori for many years but sadly had never been in to her shop, Spice of Life, until recently. This store is truly a hidden gem in downtown Paso Robles. The aromas when you walk in will get your cooking creativity going as well as make you hungry. Spices, herbs, teas, and so much more. 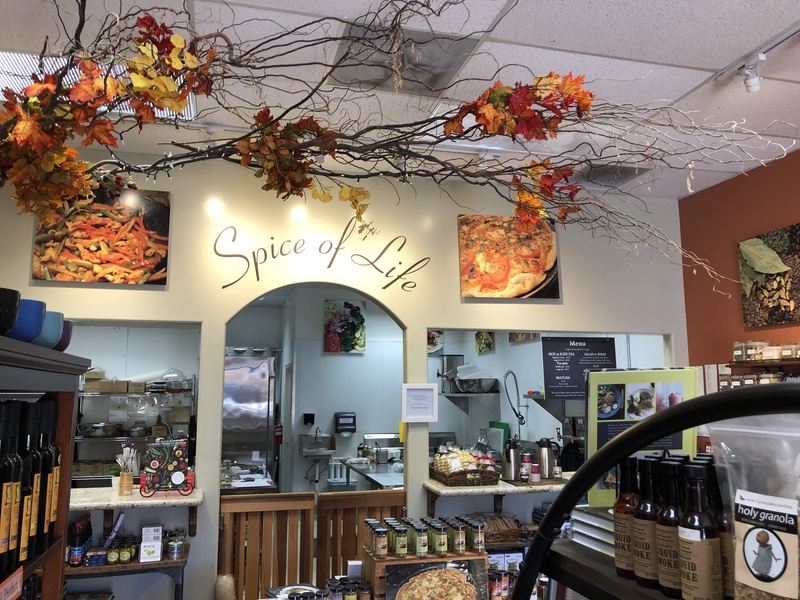 Check out the below Q&A and be sure to go visit Lori at Spice of Life, located at 1306 C-2 Pine Street. Lori: I was born in a small town just outside of Boston, Mass. My grandparents migrated from Italy in their late 20’s and settled in an Italian neighborhood. I was surrounded by a large family network of Italian culture and food. When I was eight years old my parents, brother, sisters and myself moved to California. Soon after moving, my paternal grandparents and other extended family relocated to California. Matt: How long have you been in Paso Robles? Lori: My husband (Steve), and I, along with our 3 young children, moved to Paso Robles 25 years ago (1994). Matt: How did Spice of Life come about? Lori: While my husband and I were on vacation in Key West, Florida we visited a small spice shop. From the moment we walked in we were overwhelmed by the intoxicating aroma of the spices. We brought a variety of spices back home and I incorporated them in my cooking. I was blown away by the difference it made. Soon after, when I was thinking of starting my own business, my husband asked me what I was most passionate about. I was drawn to the spices over and over again. The creativity of cooking, focusing on home cooked meals, blending spices and herbs, providing healthy options to others was the driving force for me. Spice of Life was born! Matt: Did you have a love of cooking/ food that created your love of spices? Lori: I grew up in a large Italian family where the kitchen was our gathering place for good food, good conversation and comfort. I have countless memories of helping my parents and grandparents in the kitchen, stirring the sauce, kneading dough, sprinkling colored confetti on anise cookies and working alongside my grandparents in the garden. Food was such an important part of our lives and culture and I feel a deep connection with my heritage. Even today when I am cooking I pour myself a glass of wine, turn up Dean Martin or Frank Sinatra and immerse myself in the energy and spirit of creating a delicious meal. Matt: When did you first open? Lori: I began my Spice of Life business in 2009. Farmer’s market was my main presence participating in various locations including Templeton, Cambria, Los Osos and Paso Robles. I also sold my spices and teas at various retail stores and wineries. In 2013 I opened my brick and mortar store in downtown Paso Robles (corner of 13th and Pine St.). Matt: Do you have any plans to expand? Lori: I am excited to announce that we are expanding into the space next door and creating a Tea House. We will expand our current menu offering small plates, tea lattes, medicinal hot chocolate, with many vegan and gluten free options. Our loose leaf tea selection will continue to grow, we will carry a wider variety of tea supplies, and various other products. Matt: What else do you provide in your shop other than spices? 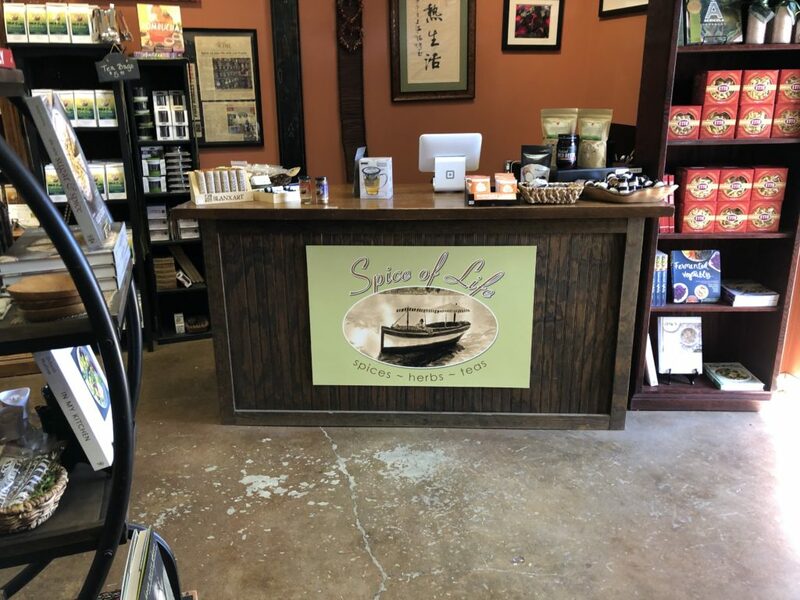 Lori: My main focus at Spice of Life is providing high quality, premium spices and teas. I am passionate about blending spices with unique flavors, creating delicious teas and offering clean and healthy ingredients. We work closely with our customers, providing knowledge, inspiration, and creativity while developing amazing relationships within our community. I love highlighting local, artisanal products as well as hard to find ingredients from around the world. Matt: Where do you get your spices from? Lori: I work directly with several importers that source our spices from around the world and from their native country of origin. All our spices are tested for quality, are non-irradiated, and do not contain anti caking agents. Matt: Do you create the blends on your own? Lori: I enjoy working with and creating my own spice blends. They are all my original recipes and I mix and blend every batch myself. When I have an inspiration for a spice blend I usually blend 7-10 different combinations and ratios of spices and then spend the next month or so cooking and using them. I continue to refine the blend until I get just the right balance. My husband and I work together to fine tune each and every blend. Matt: Do you have some favorite spices or blends that you use often? Lori: My first blend that I created for Spice of Life and my all time favorite is my “Italian Traditions”. I love the versatility and the flavor is very comforting to me. When I make eggplant dishes I often combine my “Italian Traditions” with my “Cajun Sensation”. The flavors burst and compliment each other perfectly. I love my “Curry-Up” spice blend also. Sprinkling it on eggs and adding it to soups are some of my favorite ways to use this Indian blend. “Greek Influence” is another blend that I reach for when I am roasting vegetables, seasoning fish, or just sprinkling over avocado toast. Matt: How about a favorite dish that you make using your spices? Lori: Eggplant parmesean and calzone are go to recipes for me. These are the dishes that bring me back to my childhood and connect me to my heritage and ancestors. They are favorites with my family and we usually make plenty to make sure we have lots of left overs in the fridge. Another favorite is my Cajun Cauliflower Soup which has become a favorite with my customers as well.